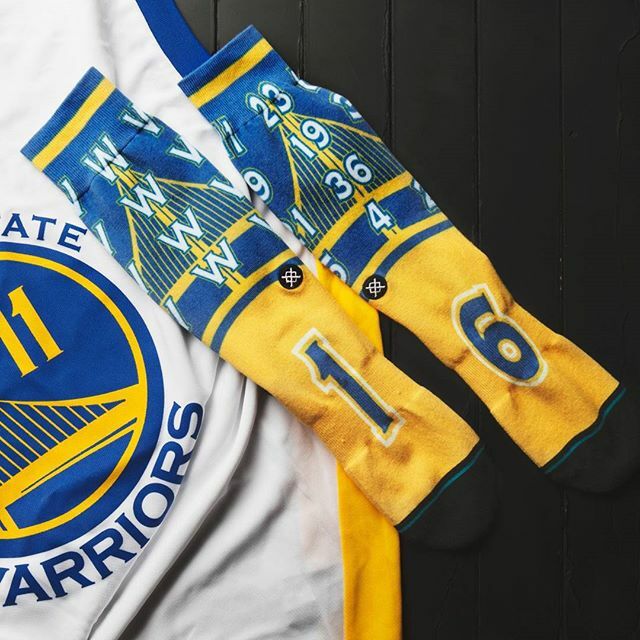 Stance, the official sock provider of the NBA (Nightwing voice), is celebrating the new record that the Golden State Warriors have set: starting a season with a 16-0 record. With the win tonight against the Los Angeles Lakers, the Warriors extend their win streak and break the record for best record at the start of an NBA season. Stance Hoops is releasing a limited edition pair of socks tomorrow, November 25, that features details outlining this historic moment. As seen in the image below, the right foot features 16 Golden State Warrior logos in respect to the 16 wins, and the left foot features the jersey numbers of all of the players on the roster, all of which are in the blue and yellow that we all know by now. To top it off, Stance is only releasing 16 pairs of these socks! Going to have to grab these if I can, how about you? Curry and company are on a mission. Where are they releasing it? Online exclusive? Bay area only release? Goodluck to those getting this.